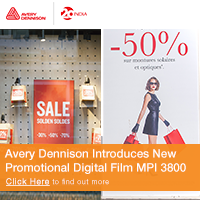 Avery Dennison has announced the launch of a new portfolio of reflective vinyl films, which include V2000 Beaded Reflective Film, printable V4000 Beaded Reflective Film and Visiflex V8000 Series Prismatic Reflective Vinyl. 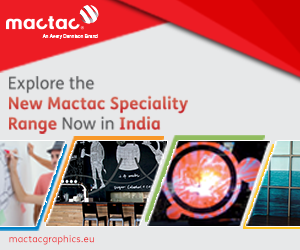 Each of this newly introduced Reflective Films can provide increased visibility in a variety of applications, including indoor signage, outdoor signage, striping, fleet wraps and more. V2000 film is engineered specifically for flat surfaces, while V4000 and V8000 films can be applied to moderate curves and vehicles. The Reflective Film portfolio includes 17 colours across three unique film constructions. 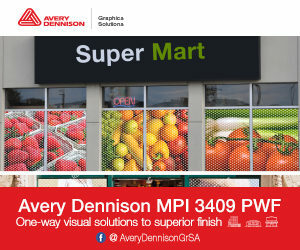 V4000 and V8000 are the first digitally printable, reflective vinyl films from Avery Dennison, and they are compatible across all digital printing platforms.